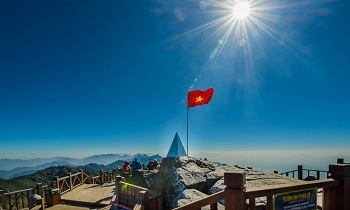 Coc Ly market is one of the impressive attractions in Sapa that is not only the convergence of goods exchanging but also the cultural exchanging spot among ethnic minorities. 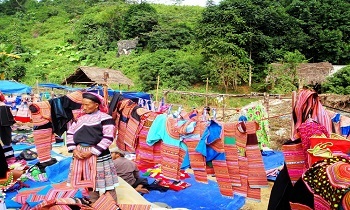 Visitors go to Coc Ly market to immerse in the nature and culture of the locals. 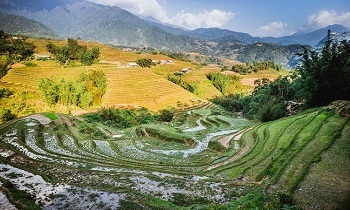 These are several specialties which tourists can enjoy when visiting Sapa. Besides, Sapa town is also famous for the night market which offers different delicious dishes, most of which are grilled or roasted ones. Visiting Sapa without trying a dish of baked or grilled meat, beef, fish, and vegetables is a great pity. These specialties can be eaten with chilly sauce or lemon-salt. There are many other delicious dishes to be explored in Sapa. If you have chance, do make a cuisine trip along Sapa night market and enjoy the moments. Sapa is famous for its markets, and on almost every day in the week, there is a nice market to visit. Would you like to visit a local market under the guidance of a local in Sapa? He or she will be able to show you the best food stalls, places to buy your fruits and vegetables, and even the best ingredients to prepare a real local dinner. 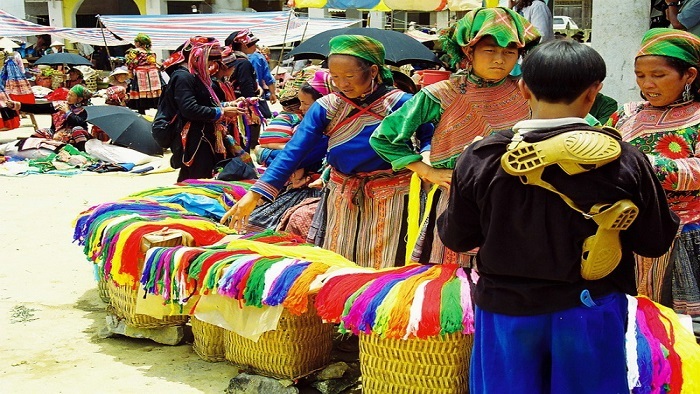 Sapa has many interesting markets you should visit when joining Sapa Vietnam trekking tours including Bac Ha, Can Cau, Coc Ly, Cao Son....Also in Bac Ha district, Coc Ly market is the recommended spot. From Dist. 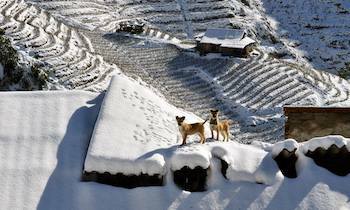 Lao Cai, following the national highway 4D, visitors will come to Bao Thang district, Lao Cai province. Turn left and follow provincial road 154 which sneaks through the countryside along the Chay River for 17 km to Coc Ly. 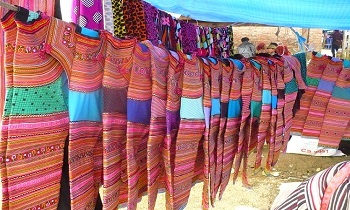 Coc Ly market is market of ethnic living in the northwest of Bac Ha district. The market has meeting beside suspension bridge across the Chay River. It opens only on Tuesday. The market is divided into separate zones: the zone for selling brocade, the zone for selling traditional cuisines. The difference of this fair is not only the place for people selling or exchanging goods but also for excursions sing the love song… Visitors can take photos with relatives or friends to celebrate where they go and do in Coc Ly market. 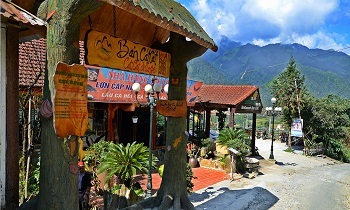 Coc Ly is a tiny village located approximately 18 kilometers west of Bac Ha town, which is roughly a two and a half to three hour drive from Sapa. 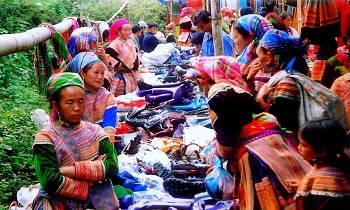 Inhabited primarily by Flower Hmong people, the village hosts a market every Tuesday morning. 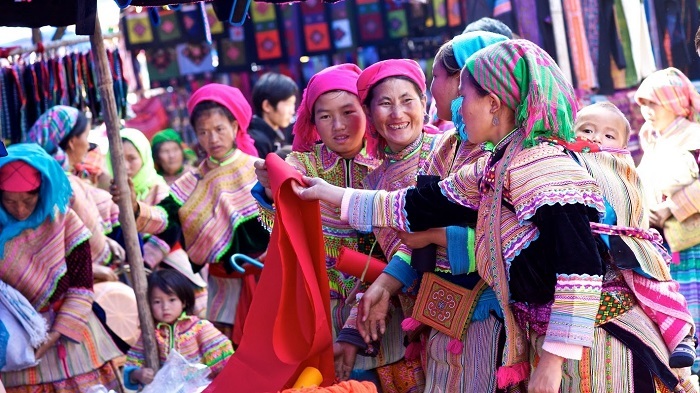 Although the market is roughly half the size of either Bac Ha or Can Cau markets, it is very popular with tourists who visit as part of organized tour groups from Bac Ha, Lao Cai or Sapa. One of the main reasons for visiting this market is the stunning scenery of the surrounding area. The 40 minute drive from Bac Ha, up a narrow, winding country road, is simply spectacular. Unfortunately, there are no buses or mini-buses running to Coc Ly. Transportation options are limited to participating in a group tour, hiring a car, renting a motorbike or taking a taxi from Bac Ha town. Coc Ly market is so interesting with a lot of locals wearing traditional dress and a lot of stalls selling these clothes. 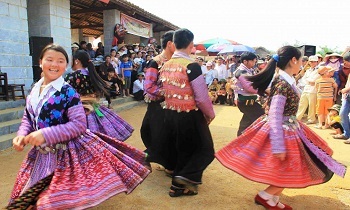 Let’s come to Coc Ly market to learn the culture and lifestyle of local people in the north of Vietnam. 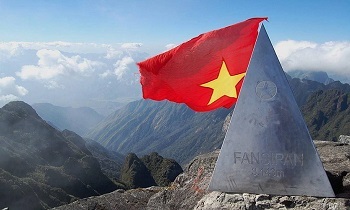 If you need other information about Vietnam Sapa homestay, feel free to contact us. Thank you!